Fotografije dana: 16. maj 2016. 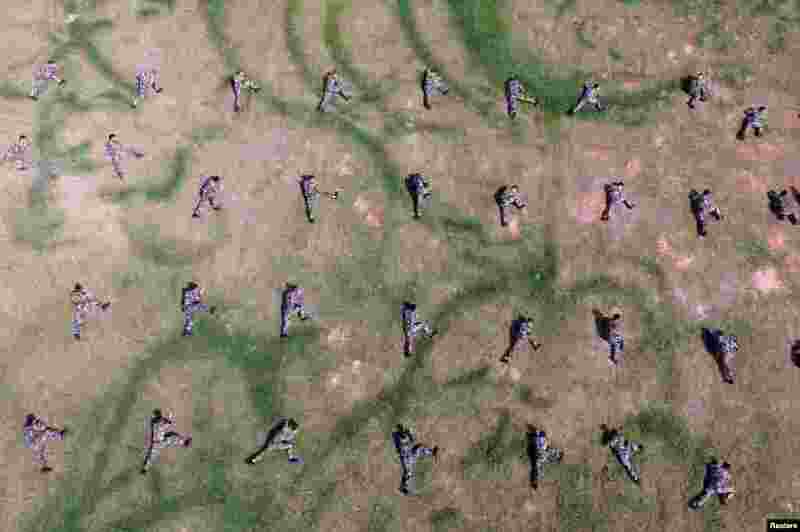 5 Paramilitary policemen take part in a training exercise in Nanning, Guangxi Zhuang Autonomous Region, China. 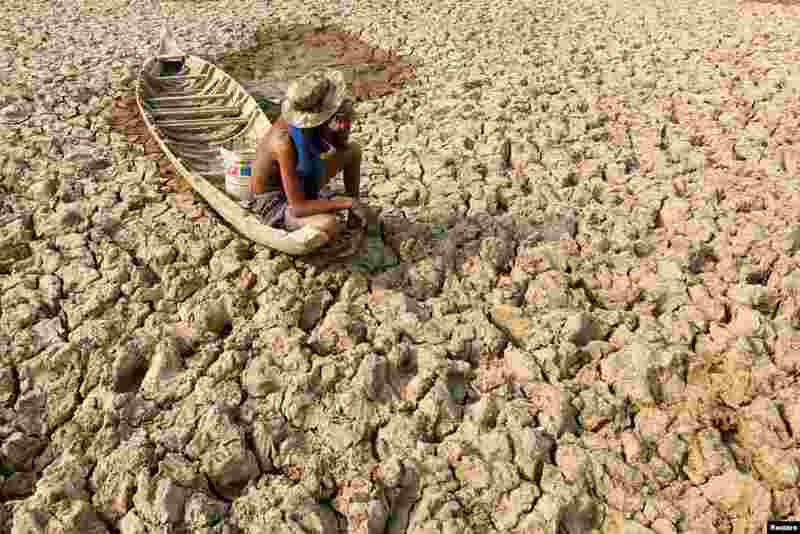 6 A fisherman sits in his boat on a dried up pond in the drought-hit Kandal province, Cambodia. 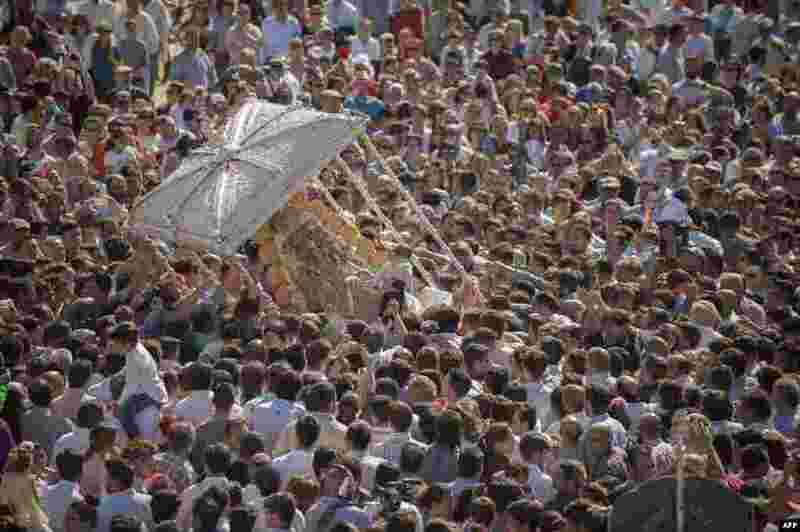 7 Pilgrims gather around a statue of the Virgin Mary during a procession in the village of El Rocio, southern Spain. 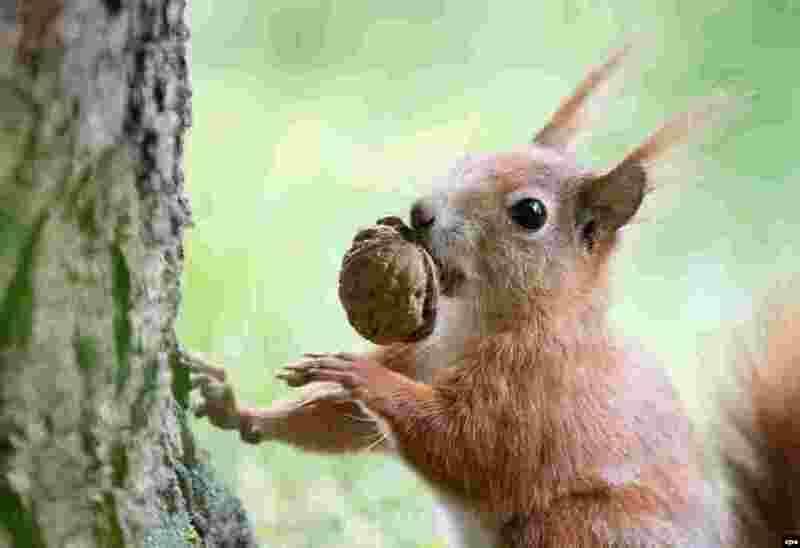 8 A squirrel carries a walnut at the Schoenbrunn Palace Park, in Vienna, Austria.